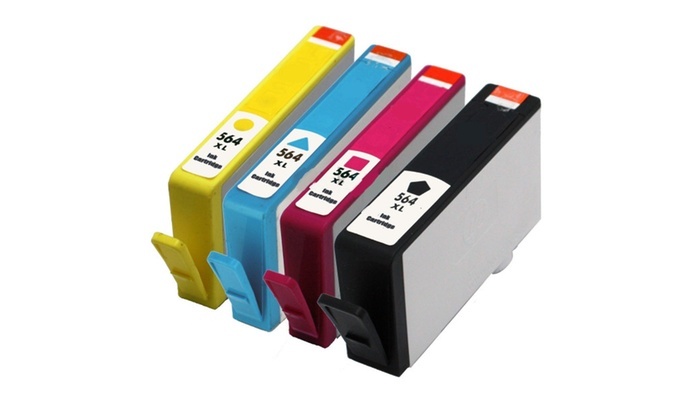 Bundle of 4 x 564XL Compatible Inkjet Cartridges (Black / Cyan / Magenta / Yellow). Approx 550 pages Black, 750 pages each colour. These all have chips that show ink levels.